There is nothing convenient about a garage door spring breaking, the door going off-track, a lost key, or a jammed lock. That is why we strive to make our service to you as convenient as possible. We don’t want anyone in Fort Worth to be locked out of their garage or be unable to get out of it. Not only are you separated from your vehicle, but you are more prone to attacks of vandalism or burglary when your garage door is malfunctioning. When your garage door comes crashing down without warning or it refuses to budge when you push a button on your opener, it might seem like the problem came on all of a sudden. In reality, it has probably been developing for months or years. 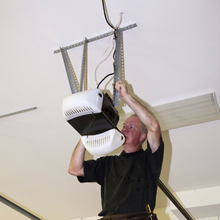 Every component of your garage door system relies on the other parts for proper operation. They are similar to an assembly line. When one part malfunctions, it won’t be long before the entire door is inoperable. Even when you understand that garage door problems usually develop slowly, that doesn’t help when you need immediate repair. You need to access or leave your garage and you want to minimize your security risks as much as possible. Exclusive Garage Door Service understands your concerns and will respond to your request for help right away. 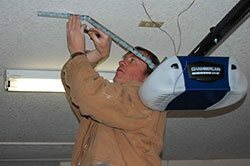 Because we only hire the highest caliber of service technician at Exclusive Garage Door Service, you can be assured that each one possesses the skills to work on garage doors of any brand or configuration. Additionally, our employees always keep customers informed of what they are doing and the reason they are doing it. This helps you to understand how each of your garage door parts works together. The loss or damage of a garage door lock or key has immediate consequences. You, your family, or your business associates are unable to access the garage, which obviously is a huge inconvenience for everyone. For business owners, garage door access problems mean that vendors, clients, delivery drivers, and others who you associate with each day can’t get in or out. The longer this problem goes unresolved, the bigger impact it has on your company’s reputation. At Exclusive Garage Door Service, we get it. We are business owners ourselves and we also have homes and families. The moment you realize that you have a lock, key, or other common access problem, just give us a call. A technician will arrive in one hour or less with the skills and tools needed to quickly resolve your issue. You will recognize that it is Exclusive Garage Door Service by our marked service vehicle pulling into your property. When you’re dealing with a non-functioning garage door, it’s best to request emergency service and not need it than the other way around. We encourage all of our neighbors in Fort Worth to call us any time of the day or night if anything with their garage door doesn’t look right. We will check it out in an hour or less and provide you with the reassurance you need to get back to everyday life. The only worse thing than ignoring a garage door problem is trying to fix it yourself without any specialized training. Your garage door is so much more than just a door. It is a physical barrier against the outside world as well as a form of protection for your most valuable assets. 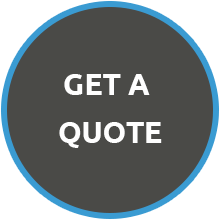 Whether your repair need is minor or complicated, it feels good to know that you can depend on a company like Exclusive Garage Door Service to save the day. After repairing your garage door, our technicians work to identify the cause of the problem and implement strategies to prevent it from happening again. We leave you with valuable maintenance tips for this same reason. The materials we use for every job are of the highest quality available in the garage door service industry. Our company backs everything we sell and every action our employees take with a 100 percent satisfaction guarantee.